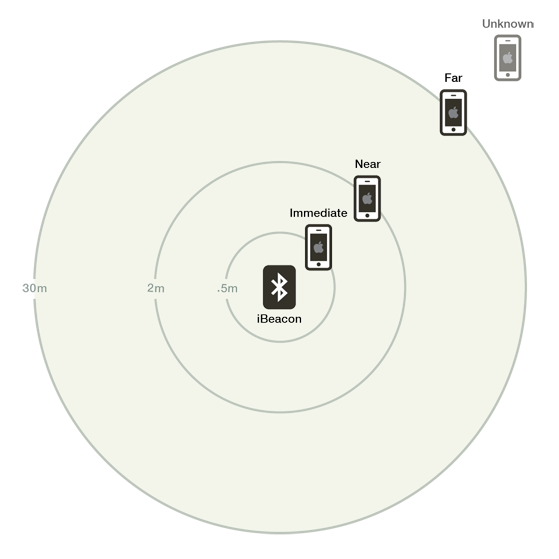 Informative technical post on the iBeacon BLE profile and using it to build indoor location services. Includes the handy range guide below. From: Apps That Know Where You Are: Our Experimentation With Apple’s iBeacon Technology – Inside the Nerdery. This entry was posted in stuff and tagged beacons, ble, context. Bookmark the permalink.